Cast iron housings and cylinder blocks can have small holes because of damage during operation or pitting that is caused by cooling system maintenance that is not correct. Repair of these small holes can some times be made with the use of pipe plugs. 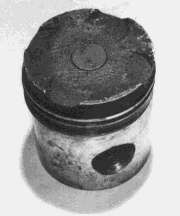 The maximum plug diameter is limited to 1.5 times the wall thickness of the casting to be repaired and the center to center distance between plugs must be a minimum of 152 mm (6.0″). 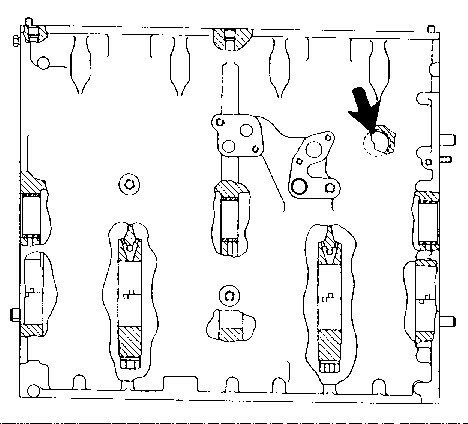 This repair procedure must be used for low pressure systems only, such as cooling system pressure in engine blocks. Do not use the pipe plugs to make repairs on castings that are used in systems with pressures above 170 kPa (25 psi). 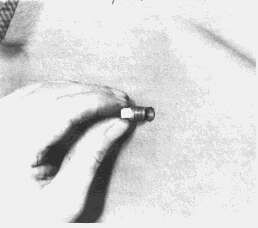 To start, put a mark on the area in which the plug will be used. Use a center punch to make a small hole in the castings to start the drill. Drill and tap the hole to the correct size for the pipe plug to be used. Put 6V1541 Quick Cure Primer on both the threads of the pipe plug and the tapped hole. Put 9S3265 Retaining Compound on the threads of the pipe plug. Install the pipe plug and tighten it to the correct torque. See Illustration 1. Illustration 1. Installation of pipe plug. The pipe plug must be long enough to be above the front and back surfaces of the casting wall to make sure of the correct thread engagement. 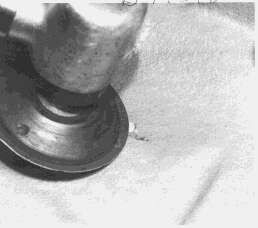 Grind the top of the pipe plug even with the casting surface. See Illustration 2. Put paint on the ground surface. Illustration 2. Grind pipe plug even with casting surface.